One of the main Active Directory domain management tools is the MMC snap-in Active Directory Users and Computers (ADUC). The ADUC snap-in is used to perform typical domain administration tasks and manage users, groups, computers, and organizational units in the Active Directory domain. By default, the Active Directory Users and Computers (dsa.msc) console is installed on the server when it is promoted to the domain controller during the Active Directory Domain Services (AD DS) role is installed. 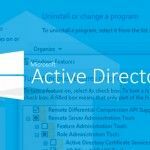 To use ADUC snap-in in Windows 10, you need first to install the Microsoft Remote Server Administration Tools (RSAT). The RSAT includes various command line tools, PowerShell modules and snap-ins to remote manage Windows Servers, Active Directory and other Windows roles and features, which are running on Windows servers. 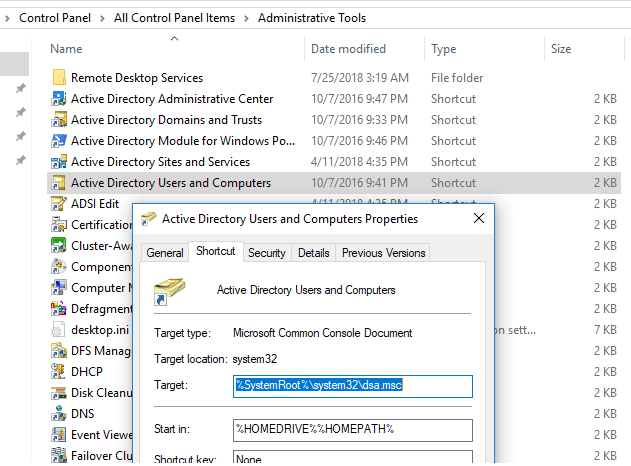 How to install Active Directory Users and Computers in Windows 10? 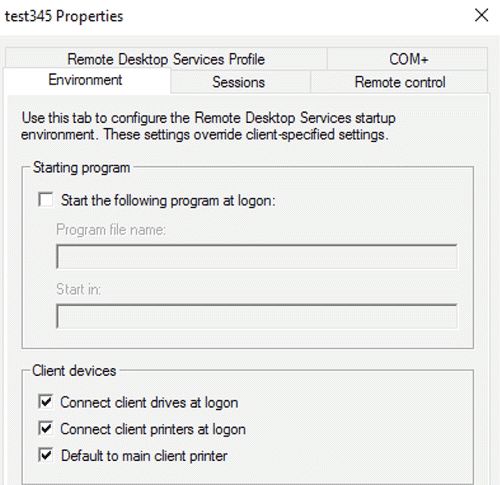 By default, RSAT is not installed in Windows 10 (and other Windows desktop operating systems). Remote Server Administration Tools (RSAT) allows IT administrators to remotely manage roles and components on Windows Server 2016, 2012 R2, 2012, 2008 R2 from user’s workstations running Windows 10, 8.1, 8 and Windows 7. The RSAT resembles Windows Server 2003 Administration Tools Pack (adminpak.msi) that was installed on clients running Windows 2000 or Windows XP and was used for remote server management. RSAT can’t be installed on computers with the Home editions of Windows. 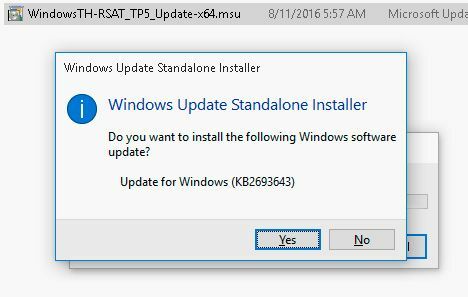 To install RSAT, you must have Professional or Enterprise edition of Windows 10. Tip. 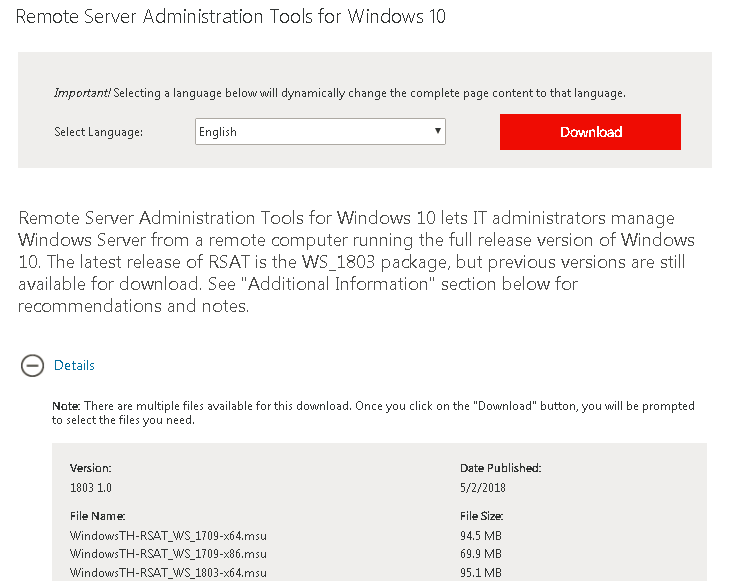 As you can see, the RSAT package is available for the latest version of Windows 10 1803. WindowsTH-RSAT_WS_1709 and WindowsTH-RSAT_WS_1803 are used to manage Windows Server 2016 1709 and 1803 respectively. If you are using a previous version of Windows Server 2016 or Windows Server 2012 R2 / 2012/2008 R2, you need to use the WindowsTH-RSAT_WS2016 package. Install the downloaded file (Update for Windows KB2693643) by double-click on it. After RSAT installation is completed, you need to restart your computer. 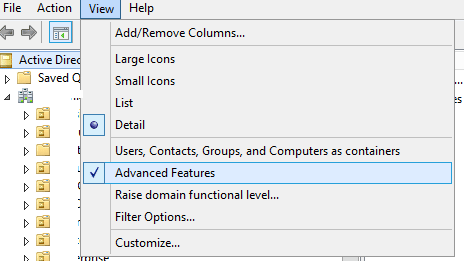 How to Enable AD DS Tools in Windows 10? 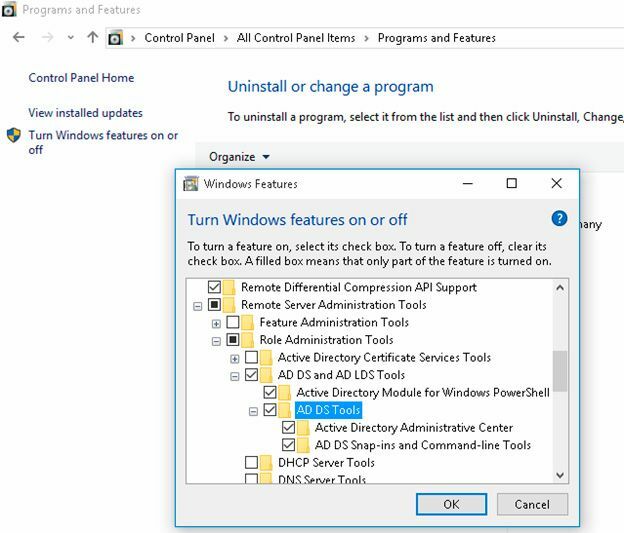 Check item AD DS Tools and press OK.
How to Run dsa.msc (Active Directory Users and Computers) Snap-in? After AD Management snap-ins installed, go to the Control Panel and select section Administrative Tools. 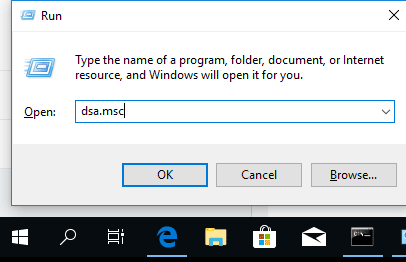 As you can see, new link to the console %SystemRoot%\system32\dsa.msc (Active Directory Users and Computers) appeared. 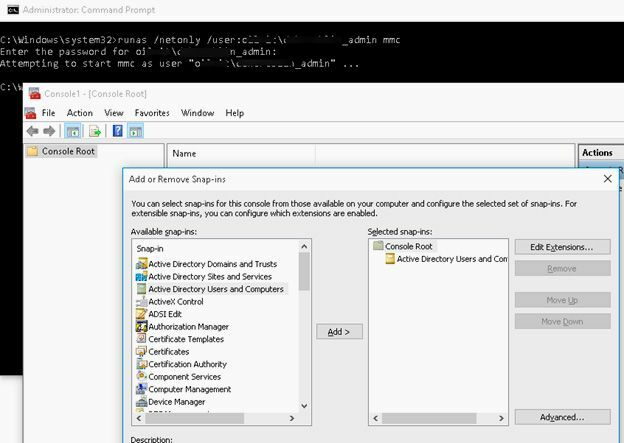 Now you can run the ADUC snap-in and connect to any available domain controller AD. 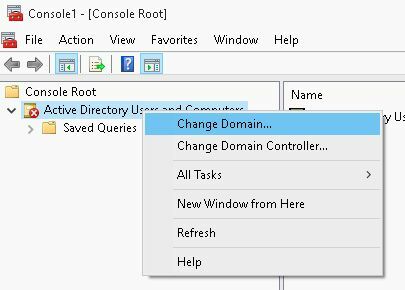 If your computer is joined to the Active Directory domain, then the nearest domain controller will be selected automatically, based on your Logon server. Also to start the ADUC console you can press the Win+R combination, type dsa.msc and then click on OK. In the empty MMC Console select File->Add/Remove Snap-In. Add Active Directory Users and Computers Snap-In to the right pane and press OK.
Connect to domain by right click on ADUC -> Connect to domain and enter domain name. As a result, in the ADUC snap-in appears the structure of your OU Active Directory domain. Users — the default container for user accounts. Depending on the domain structure, the ADUC console may contain other containers. Some AD folders are not displayed by default. To display them, select View > Advanced Features in the top menu. System — the built-in system parameters. You can add organizational units to the AD tree yourself. Users sometimes complain that some tabs are missing in the ADUC snap in on Windows 10. Found your well-written article on AD at/near the top of my Google search after repeatedly failing to see the traditional path in W10’s “Turn Settings On/Off”. Thanks for sharing your knowledge.